Safety is a priority when managing a successful car wash. It’s a busy place with plenty of potential hazards, from working with complex mechanical systems to dodging constant car traffic. Check out our tips to help put safety first and keep your car wash running smoothly. A safe job site is more productive, and more production means more profits. It all starts with your staff. They need to be trained to handle and operate your equipment safely. Where should you start? Walk through your facility every day and look for any potential concerns. Ensure everyone knows how to shut down equipment in case of an emergency. Create an ongoing maintenance schedule. Know how the changes in weather might affect your equipment and adjust your procedures accordingly. Training is important to prevent accidents. Cross-train employees so they can confidently handle the ins and outs of multiple tasks. Who better to train you on your equipment than your vendor? Bring them onsite for a detailed training session. Handling chemicals is risky business. Know the rules. Ensure all proper protection is provided, from eye protection to gloves. All employees should go through safety training and understand all product labels and warnings. From product spills to splatter in the eye, all employees should know what to do in case of an emergency. 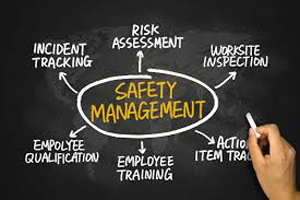 Safety extends beyond mechanical and chemical hazards. Personal safety is also a major factor. Make sure all areas are well lit indoors and out. Install cameras in key areas and ensure they are in good working condition. Choose uniforms that allow employees to be easy seen and identified, especially in snowy, windy or foggy weather. Create an emergency checklist and ensure everyone knows the plan in case of an emergency. With cars coming and going, limit distractions and provide visual cues to maximize safety. Ensure signage offers clear, simple instructions. Guide drivers to your car wash to limit zig zagging and congestion. Use orange cones or road markers to control the flow of traffic. Now that your car wash is safe and secure, contact us to find out how we can help you.